Deputy Religions Minister instructs Councils to fly flag for Memorial Day and Independence Day. Deputy Religions Minister, MK Eliyahu Ben-Dahan has issued instructions to all Religious Councils in Israel to fly the Israel flag in honor of Memorial Day for the IDF's Fallen and Independence Day. "The Religious Councils that are spread throughout Israel are the arm for bringing the nation of Israel closer to the tradition of Israel, and their purpose is to give every Jew the best religious services," wrote Deputy Minister Ben Dahan. 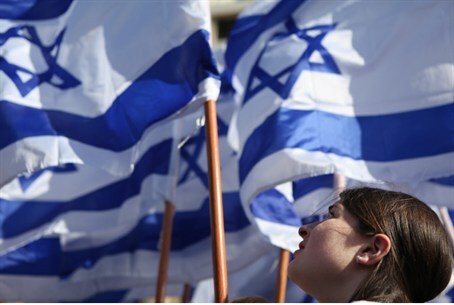 "As these important days approach, and based upon the understanding that the religious councils are part of the Israeli governmental system, I request that every religious council fly the Israel flag on its structure," Rabbi Ben Dahan wrote. The hareidi press has published Rabbi Ben Dahan's letter along with anonymous objections from members of the religious councils who oppose the instruction.